Is your Kenyan passport lost, expired or mutilated? If so, then you need to replace. This article outlines the requirements, fees and time period it will take to renew or replace your passport. With effect from 15th April 2015, new rules were put into place requiring all passport applications to made via eCitizen. Manual applications are no longer accepted. You can download the application form from eCitizen but you must present yourself in person to any immigration office in Kenya (Nyayo house, Mombasa & Kisumu) or if you are not resident in Kenya, visit any Kenyan mission abroad for digital photo capture. Fee payment is made via a banker's cheque drawn in favor of "Director of Immigration Services". If you are under 18, you must obtain a consent letter from your parents or guardian and a copy of their national ID card. Your national ID is a mandatory requirement with every type of application. Immigration officials may require more information from you. 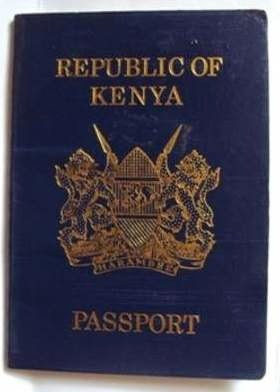 See the list of Kenyan passport fees and charges.